Let’s be honest with ourselves; when we open up a celebrity gossip magazine, it’s hard not to feel a little envious of the beautiful faces that stare back at us. Have you ever wondered what products some of your favorite celebrities use to have a flawless smile and lustrous hair? 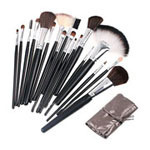 Well, I’ve got the inside scoop on some of Hollywood’s beauty must-haves! I’m excited to share with you some coveted products that will help reveal a brighter and more confident you! Every starlet and supermodel has one thing in common: Gorgeous, voluminous hair. 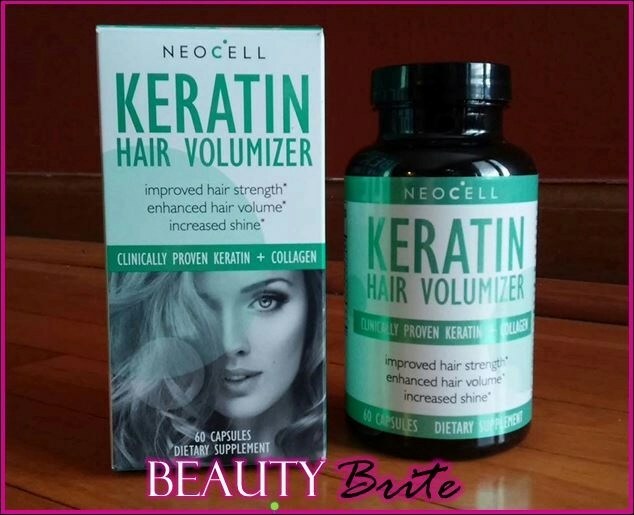 If you’re like me and weren’t naturally blessed with a full, thick head of beautiful locks, you should check out Neocell Keratin Hair Volumizer. Neocell Keratin Hair Volumizer has exhibited wonderful results for my fine hair! Every day, I’ve taken two capsules with breakfast and lunch. By the end of the first week, my hair loss felt reduced when brushing my hair. After the second week, I skipped my volumizing mousse when my hair felt thicker and more manageable. So far, I’ve had no negative results with Neocell Kertain Hair Volumizer; just gradually thicker and more beautiful hair! 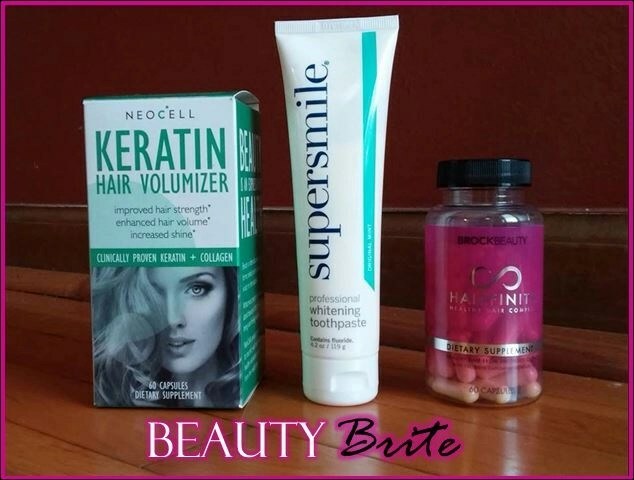 Neocell Keratin Hair Volumizer’s main ingredients are Cynatine HNS, Super Collagen, Amla Extract, and Vitamin C. Cynatine HNS is an easily consumable keratin that binds well with hair through the body. This form of keratin improves hair texture and durability as well as reduces hair loss. Super Collagen increases the diameter of hair strands, beginning at the root. Amla Extract and Vitamin C help build keratin and work as powerful antioxidants. 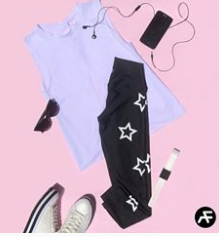 Supersmile products are quickly becoming must-haves for every celebrity, encouraged by the company’s reputation for their quality products that work effectively. Supersmile Professional Whitening Toothpaste has become a necessity for me! I’m a certified coffee addict, wine enthusiast, and I love my carbonated flavored waters – all incredibly harsh on my teeth. Supersmile Professional Whitening Toothpaste is one of the easiest ways to whiten my smile. Apply a pea-sized amount to a dry toothbrush, and brush your teeth for two minutes. Then you’re done. Over the week, I noticed my smile gradually getting brighter and whiter! I like to use this as a maintenance product between professional whitening treatments. The results from using Supersmile Professional Whitening Toothpaste reminded me of that fresh look and feel I get after a cleaning at the Dentist office. Hairfinity has been a power player in the celebrity beauty world for years. Kim Kardashian raves about Hairfinity, giving the vitamins credit for her long, gorgeous locks and elegant nails. 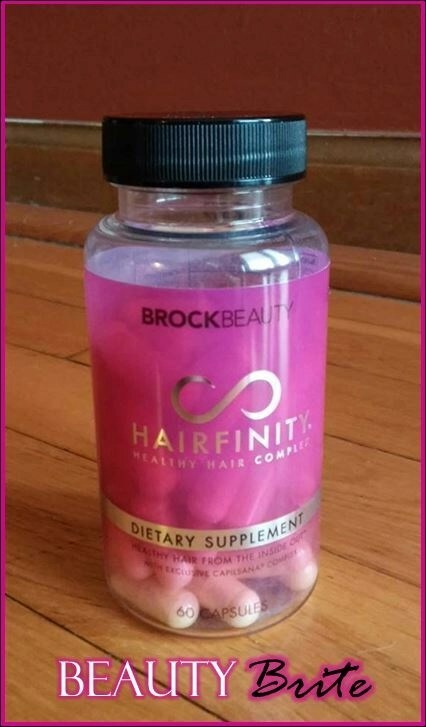 Hairfinity vitamins are filled with beneficial ingredients like Vitamins A, B, C, D3, Folic Acid, Calcium, Horsetail, and plenty of amino acids – all the good stuff that helps hair and nails grow strong, fast, and healthy. While taking Hairfinity, I noticed my nail growth accelerating after the first week. My nails felt stronger and looked healthier than I’d seen them in months. After three weeks, I noticed that my hair looked healthier and shinier. I needed less serum and styling product when I did my hair. My bad, frizzy hair days turned into more frequent good hair days! Also, be prepared for rapid hair growth and a newfound radiance for your skin. I understand what all the buzz is about: Hairfinity produced incredible results for my hair, nails, and skin. Using the right products can yield astonishing improvements, revealing a radiant superstar and bringing out the best in ourselves. The right supplements can help us achieve the voluminous hair we’ve always dreamed of. The perfect toothpaste can give us the confidence to smile brighter. The best vitamins can give us healthier, glowing skin. Isn’t it time you treated yourself to a few celebrity beauty secrets and relished the results? Would make a nice treat!